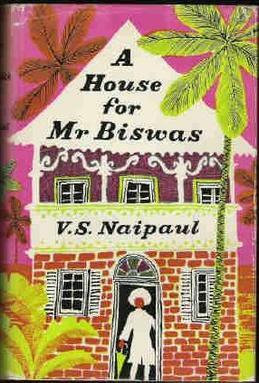 Mr Biswas was forty-six, and had four children. He had no money. His wife Shama had no money. On the house in Sikkim Street Mr Biswas owed, and had been owing for four years, three thousand dollars. The interest on this, at eight per cent, came to twenty dollars a month; the ground rent was ten dollars. Two children were at school. The two other children, on whom Mr Biswas might have depended, were both abroad on scholarships. It gave Mr Biswas some satisfaction that in the circumstances Shama did not run straight off to her mother to beg for help. Ten years before that would have been her first thought. Now she tried to comfort Mr Biswas, and devised plans of her own.